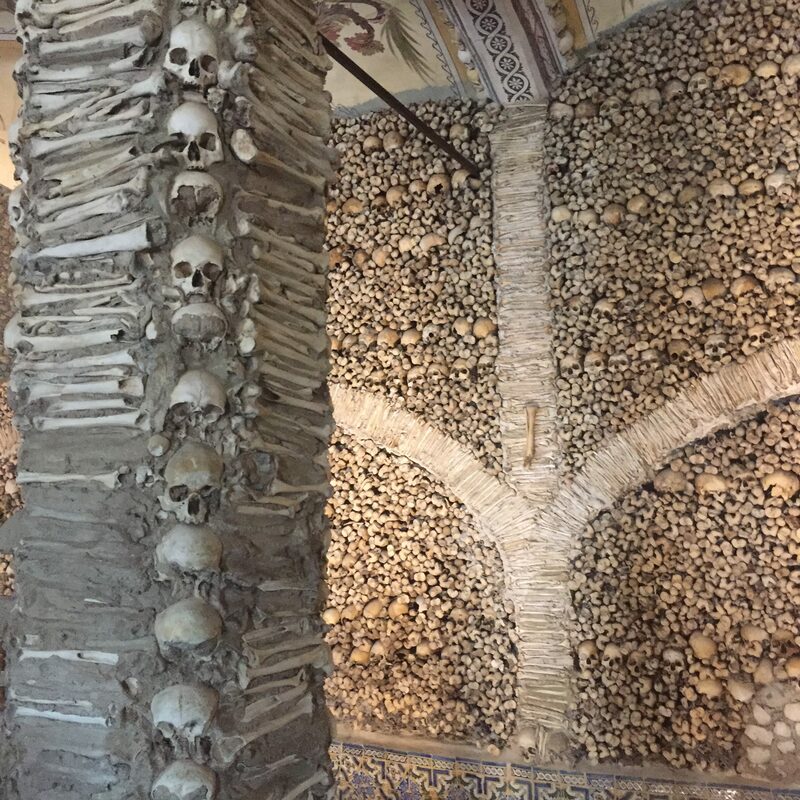 Capela dos Ossos, also known as the Bone Chapel is located in the growing town of Evora, Portugal. A small 16th century chapel that was built using the corpses of over 5,000 towns people. Not in a horrifying gory death though, but as a place to remember them. Land in Evora become very popular, and very valuable. The only thing standing in the way were 43 different cemetaries. 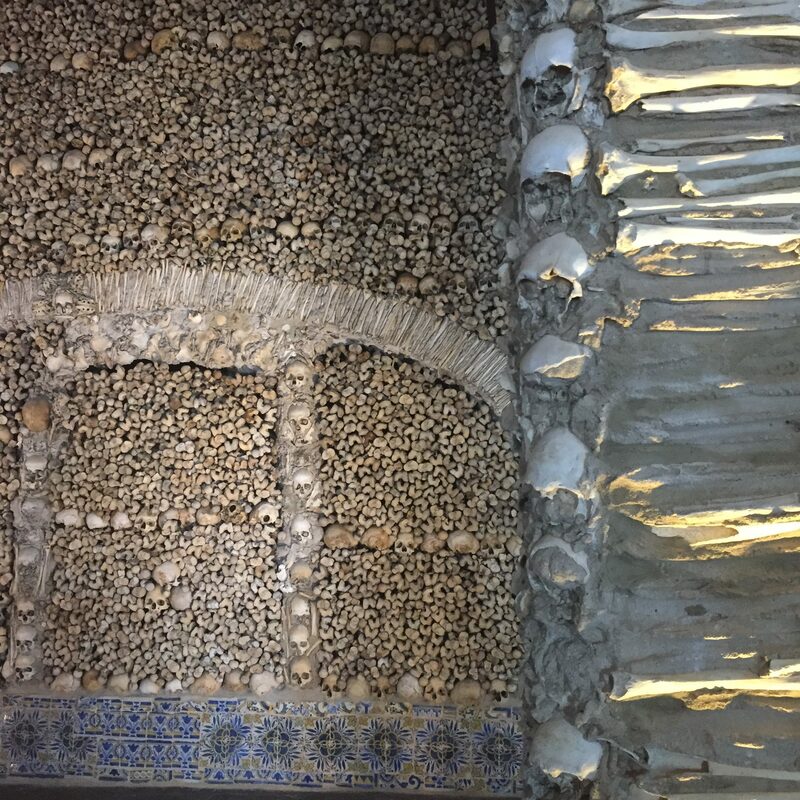 So the monks at the time decided to honor the burials by building a chapel for them….using them. The thought was instead of hiding them away in volts are crypts, use them to be honored, and prayed upon, and use them for display. “Where are you going in such a hurry traveler? Pause… do not advance your travel; You have no greater concern Than this one: that on which you focus your sight. Recall how many have passed from this world, Reflect on your similar end, There is good reason to reflect If only all did the same. The bone chapel is located next to the entrance of the Church of St Francis.